"We believe that peptide-based therapies hold great promise in inhibiting complement activation. Alexion’s demonstrated expertise in treating rare and complement-mediated diseases makes this the ideal collaboration to advance Zealand’s complement-focused peptide programs." BOSTON & COPENHAGEN, Denmark--(BUSINESS WIRE)--Alexion Pharmaceuticals, Inc. (NASDAQ:ALXN) and Zealand Pharma A/S (NASDAQ:ZEAL) today announced a collaboration to discover and develop novel peptide therapies for complement-mediated diseases. Peptides offer a number of advantages, including being highly selective and potent, allowing low dosage volumes for ease of administration, and having the potential to treat a broad range of complement-mediated diseases. The agreement provides Alexion with exclusive worldwide licenses, as well as development and commercial rights, for up to four targets within the complement pathway. Under the terms of the agreement, Alexion and Zealand will enter into an exclusive collaboration for the discovery and development of subcutaneously delivered peptide therapies directed to up to four complement pathway targets. Zealand will lead the joint discovery and research efforts through the preclinical stage, and Alexion will lead development efforts beginning with IND filing and Phase 1 studies. The agreement provides Alexion with exclusive worldwide licenses and commercial rights to the peptide therapies developed in the collaboration. Zealand will receive an immediate upfront payment of $25 million for the first target, with Alexion making a concurrent $15 million equity investment in Zealand Pharma at a premium to the market price as of the collaboration effective date. For the lead target, the agreement provides the potential for development-related milestones of up to $115 million, as well as up to $495 million in sales-related milestones and the potential for high single- to low double-digit royalty payments. Each of the three subsequent targets can be selected for an option fee of $15 million and has the potential for additional development milestones and sales milestones and royalty payments at a reduced price to the lead target. Alexion will discuss the collaboration further during today’s Investor Day event and webcast. Zealand will host a conference call on Thursday, March 21, at 4 p.m. CET. Alexion is a global biopharmaceutical company focused on serving patients and families affected by rare diseases through the discovery, development and commercialization of life-changing therapies. As the global leader in complement biology and inhibition for more than 20 years, Alexion has developed and commercializes two approved complement inhibitors to treat patients with paroxysmal nocturnal hemoglobinuria (PNH) as well as the first and only approved complement inhibitor to treat atypical hemolytic uremic syndrome (aHUS) and anti-acetylcholine receptor (AchR) antibody-positive generalized myasthenia gravis (gMG), and is also developing it for patients with neuromyelitis optica spectrum disorder (NMOSD). Alexion also has two highly innovative enzyme replacement therapies for patients with life-threatening and ultra-rare metabolic disorders, hypophosphatasia (HPP) and lysosomal acid lipase deficiency (LAL-D). In addition, the company is developing several mid-to-late-stage therapies, including a second complement inhibitor, a copper-binding agent for Wilson disease and an anti-neonatal Fc receptor (FcRn) antibody for rare Immunoglobulin G (IgG)-mediated diseases as well as several early-stage therapies, including one for light chain (AL) amyloidosis and a second anti-FcRn therapy. Alexion focuses its research efforts on novel molecules and targets in the complement cascade and its development efforts on the core therapeutic areas of hematology, nephrology, neurology, and metabolic disorders. Alexion has been named to the Forbes list of the World’s Most Innovative Companies seven years in a row and is headquartered in Boston, Massachusetts’ Innovation District. The company also has offices around the globe and serves patients in more than 50 countries. This press release and further information about Alexion can be found at: www.alexion.com. Zealand Pharma is a biotechnology company focused on the discovery and development of innovative peptide-based medicines. The company’s peptide discovery platform is built on 20 years of experience and has been extensively validated by their clinical pipeline, partnerships and marketed products; these include more than 10 drug candidates invented by Zealand that have advanced into clinical development, of which two have reached the market. Zealand’s current pipeline of internal product candidates focus on specialty gastrointestinal and metabolic diseases. Zealand’s portfolio also includes two clinical license collaborations with Boehringer Ingelheim. Zealand is based in Copenhagen (Glostrup), Denmark. 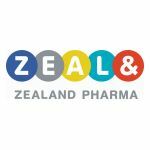 For further information about the company's business and activities, please visit www.zealandpharma.com. This press release includes forward-looking statements. Such forward-looking statements are subject to risks and uncertainties that could cause actual results to differ materially from those expressed or implied in such statements. Examples of forward-looking statements include, among others, statements we make regarding: (i) the therapeutic and commercial potential of peptide-based therapies; (ii) research and development plans related to peptide-based therapies; (iii) the potential of peptide-based therapies for the treatment of complement-mediated diseases; (iv) the potential for the collaboration between Alexion and Zealand; and (v) the closing of the equity investment by Alexion into Zealand, which is subject to standard closing conditions. The process by which early stage products such as Zealand’s peptide-based therapies could potentially lead to an approved product is long and subject to highly significant risks, particularly with respect to a preclinical research collaboration. Applicable risks and uncertainties include those relating to preclinical research and other risks identified under the heading "Risk Factors" included in Alexion’s and Zealand’s most recent Form 10-K and 20-F filings and in other future filings with the SEC. The forward-looking statements contained in this press release reflect Alexion’s and Zealand’s current views with respect to future events, and neither Alexion nor Zealand undertakes and specifically disclaims any obligation to update any forward-looking statements, except as required by law.